With a lightweight air-injected centre, Zogoflex Air floats higher so it's easier for swimming dogs to spot. It can be flung further and provides a satisfying (and durable) squish! 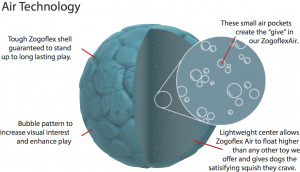 All Zogoflex products are easy to clean and dishwasher safe. 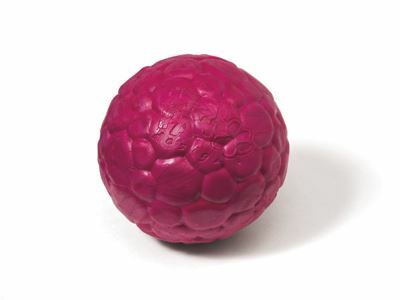 The Boz ball is light bouncy and soft enough for dogs to catch with their mouths. 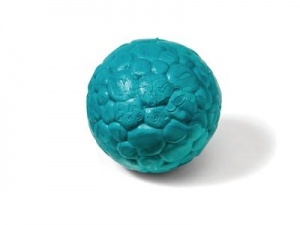 This tough dog ball has a durable exterior texture that engages fetch fanatics. Dogs can compress the ball between their teeth giving them a satisfying endorphin release. 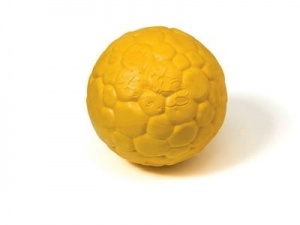 Unlike a tennis ball Boz is durable squishy and doesn't contain any toxic glues or lead. The service was great; parcel arrived sooner than expected. Our dog loves the big orange ball; and it's a really good bouncer on hard ground. I bought the zogoflex air box ball for my American bull dog. He is a vigorous chewer but this ball has withstood this well and a week later is still as good as new. It is now his absolute favourite toy. It has a good bounce and floats well. Also it is an excellent size. Small enough to be easily carried but large enough to prevent choking. The ball arrived promptly as well. All in all I am delighted with this product. It is fairly pricey but since the quality is so good I expect this will last a lifetime and so well worth the money. Would highly recommend.